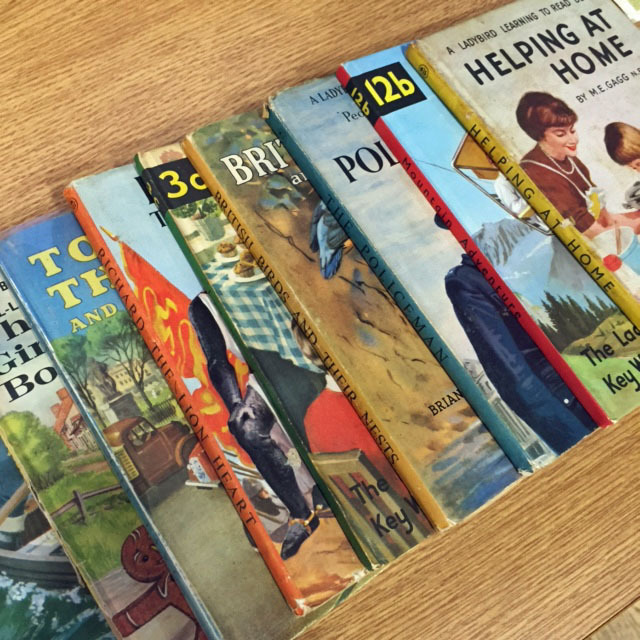 September’s meeting was one that many of us had been looking forward to – the history of ladybird books with Biff Raven-Hill from The Wartime Housewife. Biff was a very entertaining speaker and allowed us plenty of time to ‘ahhh’ appreciatively and exclaim ‘I had that one’ as our childhood favourites appeared on the screen. 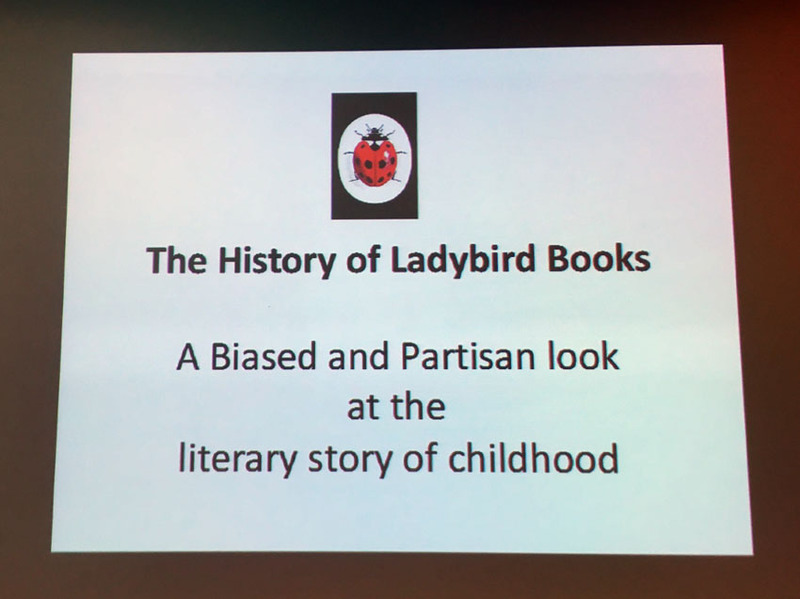 She talked us through the history of the company, how the books had evolved, why they’d proved so popular, explained the numbering system and then whizzed through the various series. 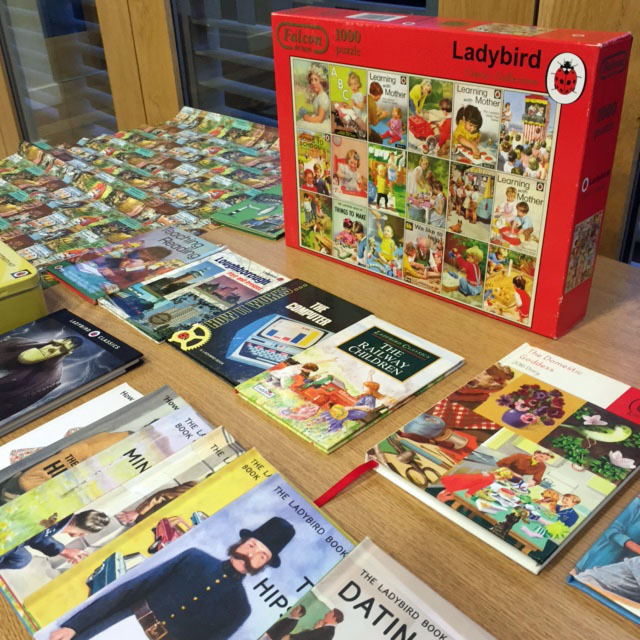 Biff had also laid out a table with Ladybird books and related merchandise that we could handle as long as we wore the gloves provided in order to protect the older and more valuable items. 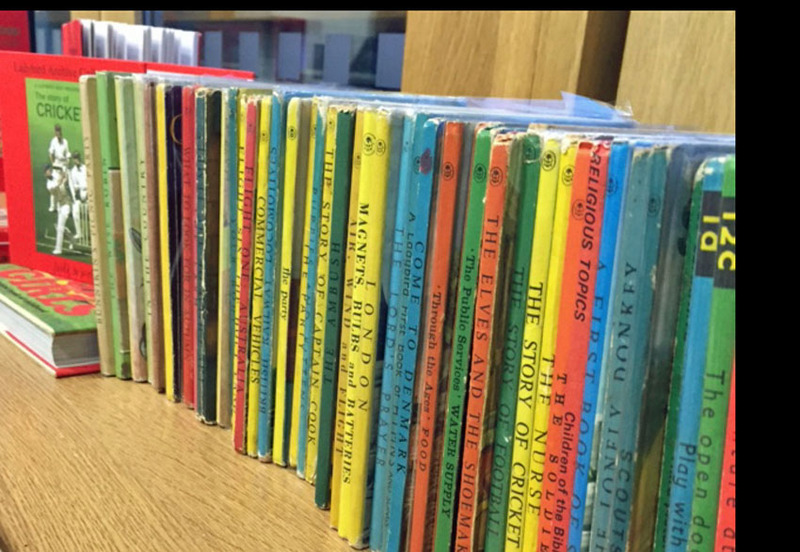 We were extra careful not to get cake on the precious books! 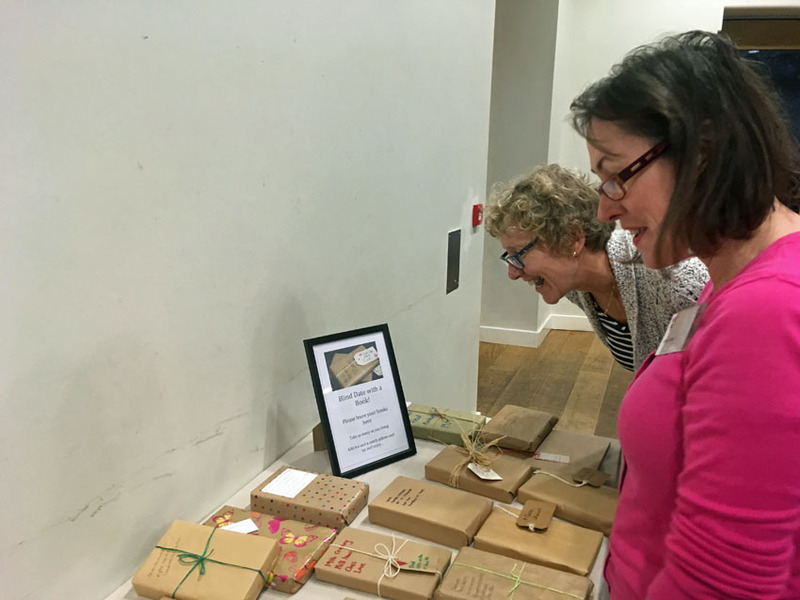 To tie in with the talk, our Social Secretary, Karen Cunningham had arranged a Blind Date With A Book swap, an idea we shamelessly stole from Cottonopolis WI after seeing it on their Twitter! 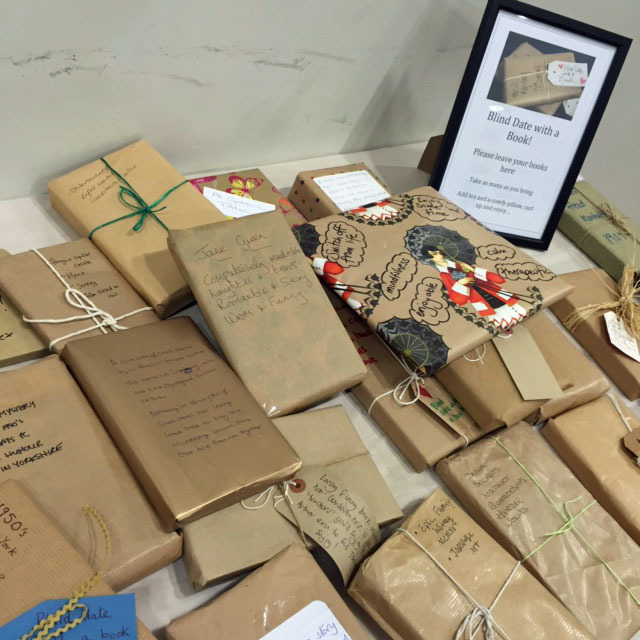 You bring a book wrapped in paper with a brief description on the front but no title or author mentioned. The idea is that you choose a book with fewer preconceptions because you’re not influenced by the cover art or who the author is. 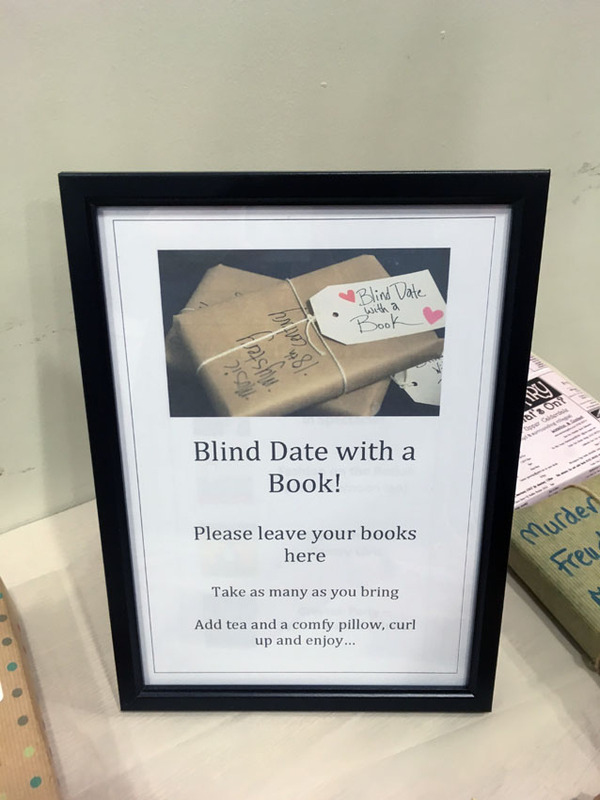 Blind Date With A Book chimes nicely with our existing book group, which meets on the 4th Monday of the month. Instead of all reading the same book, we bring along books we’ve been reading, then review and swap them. We find it encourages us to read outside our comfort zones and try authors and genres that we might not pick up in a bookstore or library. It also feels less like ‘homework’ than a conventional book group. If your WI doesn’t already have a book group, perhaps this model would work for you too.